Requesting or defending against a protective order can be a complicated and confusing process. To start, you have to file your request in the correct court. Once the correct court is determined, you must choose one of three types of protective orders. This post seeks to explain the basic process and differences between emergency protective orders and preliminary protective orders, whether you are requesting protection or fighting entry of an order. If the injuries or threats were made by a “family or household member”, then the case will need to be filed in J&DR. “Family or household members” is defined by the Code of Virginia and is fairly broad. On the other hand, if the injuries or threats are made by someone who does not fall within the “family or household member” definition, then the case must be filed in GDC. Identifying the court in which you need to file is important because filing in the wrong court can result in the case being dismissed or transferred to a different court, thereby delaying the process. 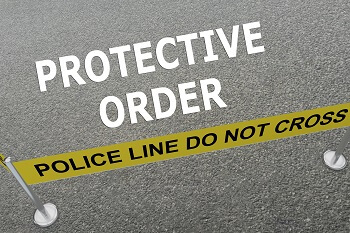 Let's discuss each type of protective order. The first type is an emergency protective order. Virginia Code Sections 19.2-152.8 (non-family/household member cases) and 16.1-253.4 (family/household member cases) set the standards for when an emergency protective order may be received. Sections 19.2-152.8 and 16.1-253.4 limit the length of time during which emergency protective orders are in place to 72 hours. There are two types of circumstances that justify issuance of an emergency protective order. One circumstance is for a petitioner to allege under oath that he or she was either threatened or injured by the respondent, and a J&DR, GDC, or magistrate judge finds “there is probable danger” of future threats or harm to the petitioner. The second circumstance that would leave to issuance of an Emergency Protective Order is if a judge finds the respondent has been charged with “any criminal offense” that involves violence or threats. If either of those elements are satisfied, the judge must issue an Emergency Protective Order. Like emergency protective orders, preliminary protective orders are temporary in nature, and they are routinely issued prior to a full hearing on a permanent protective order. Because preliminary orders are entered in anticipation of a future hearing, Sections 19.2-152.9 and 16.1-253.1 both require that the hearing on the permanent protective order be held within 15 days of the entry of a preliminary protective order. However, a preliminary protective order may stay in effect up to six months after its initial entry under certain circumstances, and generally, preliminary protective orders will be extended to cover the entire period, but not to exceed six months, between the issuance of the preliminary protective order and the permanent protective order. The final type of protective order is the permanent protective order, which is defined by Sections 19.2-152.10 (non-family/household member cases) and 16.1-279.1 (family/household member cases). The biggest difference between the permanent protective order and preliminary or emergency protective orders is the amount of time for which it lasts. A permanent protective order lasts up to two years, and it may be extended by an additional two years upon a full hearing before the issuing court. Another key difference between permanent protective orders and preliminary or emergency protective orders is the process afforded to the respondent. Emergency and preliminary protective orders may both be entered “ex parte,” which means the respondent is not required to be present to tell his or her side of the story prior to the judge making a determination of whether one of the temporary protective orders should be issued. In contrast, before a permanent protective order can be entered, the respondent must receive notice of the hearing and have the opportunity to contest it. If the respondent has been notified of the hearing and chooses not to show, the judge will hear any evidence from the petitioner and will make a decision based on that alone. Therefore, it is always important for the respondent to appear in court. The standards for issuing a permanent protective order are also slightly different. If a J&DR judge is making the determination, that judge must determine whether there was an act of “family abuse,” which has a specific definition in the Code of Virginia. If “any act involving violence, force, or threat that results in bodily injury” is presented, then family abuse has occurred. However, the court may also find “family abuse” if the respondent has put the petitioner “in reasonable apprehension of” injury or commission of a crime. A finding of either will justify the issuance of a permanent protective order. Whether requesting or fighting a protective order, there are high stakes for both parties. It is vital to make sure your case is presented fully and accurately to a judge so they may make the proper determination. If you are party to a protective order, call a trusted Fairfax, VA attorney at Greenspun Shapiro PC. We routinely assist in requesting and defending protective orders, and we are ready to help you as needed. You can schedule a meeting with one of our attorneys by calling (703) 352-0100.